The 11th Annual Shower Strike is Here! Every year, hundreds of people around the world #ShowerStrike to transform lives through clean water. Together, Shower Strikers have raised over $1,245,000 to build wells and water systems in East Africa and have been able to provide water to more than 124,500 people. **Do you want to participate in Shower Strike, but also still want to shower? No problem! You can still join and help raise money to build life-saving and community-transforming wells in East Africa. Actress and writer, Mary Elizabeth Ellis Day, teams up with director, Mo Perkins, to join us for a cheeky spoof of Hitchcock's "Psycho" to raise awareness for our annual Shower Strike campaign, which funds clean water systems in E﻿ast Africa. 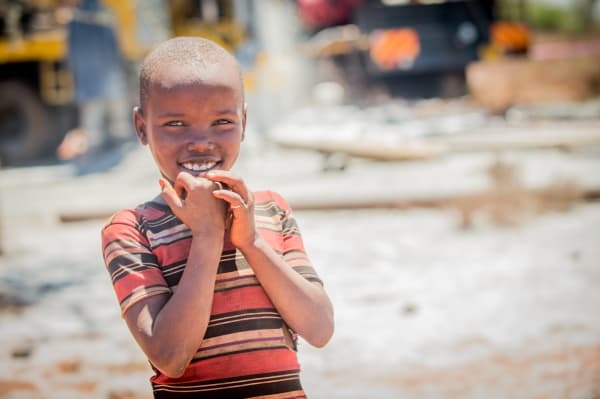 Well Aware is a 501(c)3 nonprofit organization with headquarters in Austin, Texas that provides innovative and sustainable solutions to water scarcity and contamination in East Africa. We fund and implement life-saving water systems to drive economic development and build self-sufficient communities. At Well Aware, our responsibility to the communities in which we work goes far beyond the drilling of a hole. Thank you to these incredible brands and people. For information about sponsoring the 2019 Shower Strike, download our Sponsorship Packet.